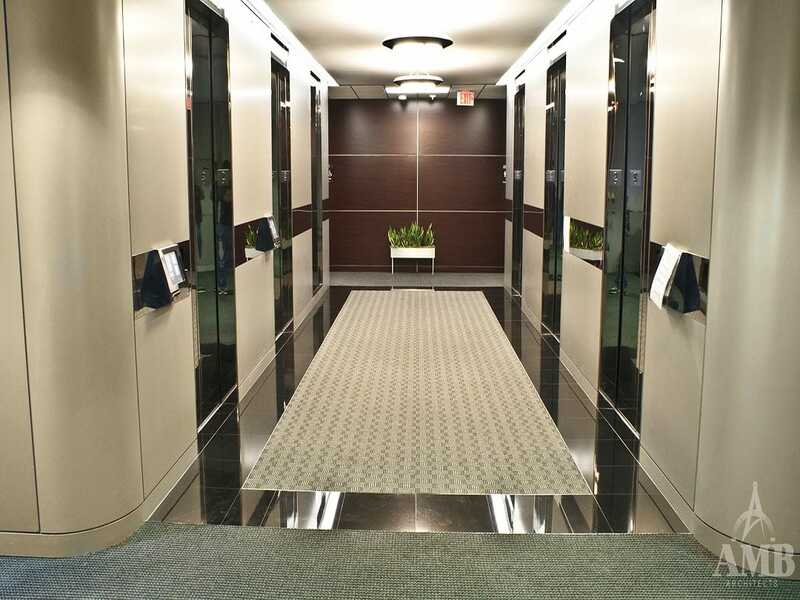 This project was mainly selecting finishes for a high traffic area at Greenway Plaza. 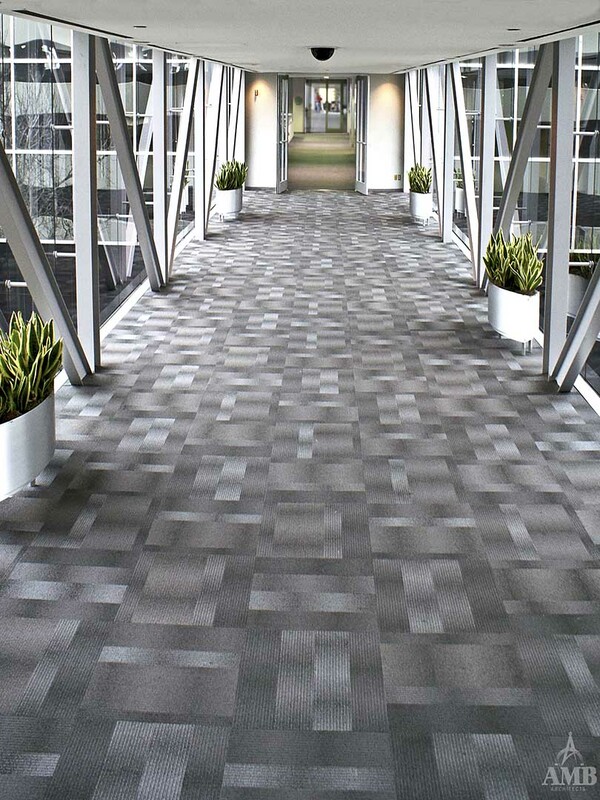 AMB selected carpet that would withstand the daily foot traffic through the skybridge that connects the buildings on campus to the parking garages. Finished were also selected for the elevator lobby on that floor as well.